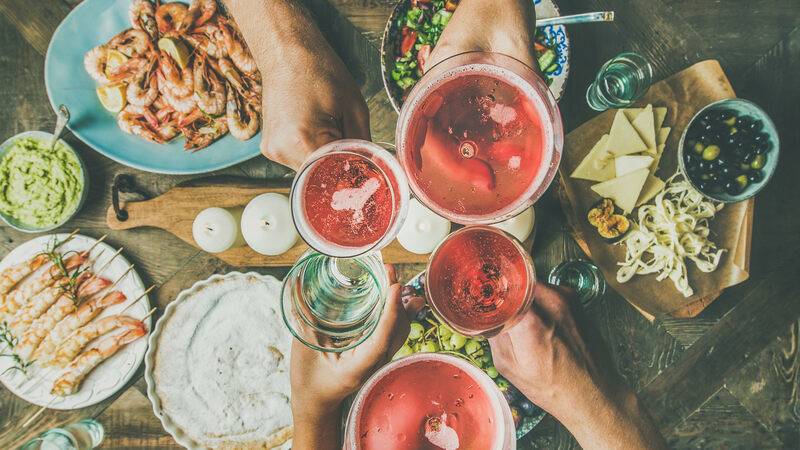 So, you’re hosting a summer dinner party but not sure where to start? Here’s one piece of advice to keep in mind: Keep it simple! Seriously, simple is best, especially when it comes to your summer dinner party menu. When you’re serving cocktails, apps and entrées, think light, fresh and flavorsome. 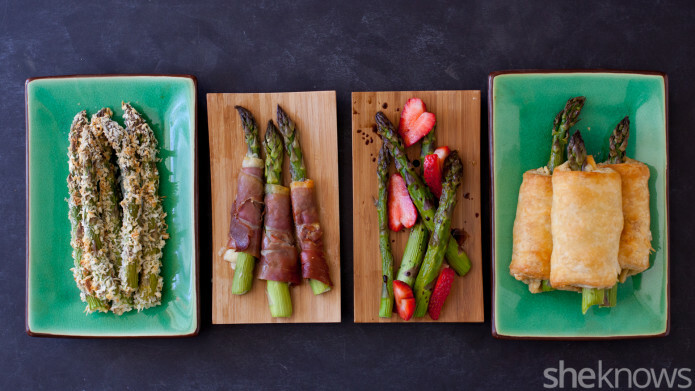 With this selection of simple summer party dinner recipes, you can’t go wrong. 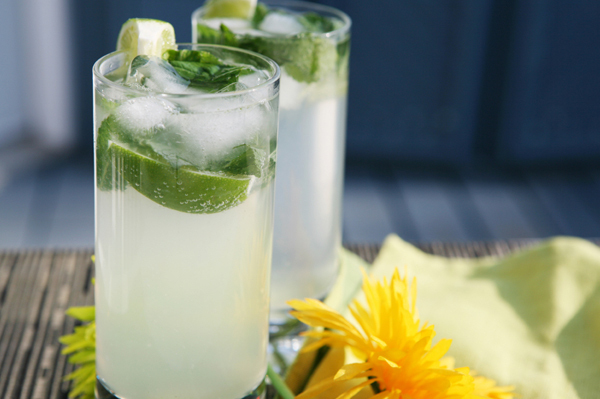 What better way to kick off your summer dinner party than with a refreshing cocktail? 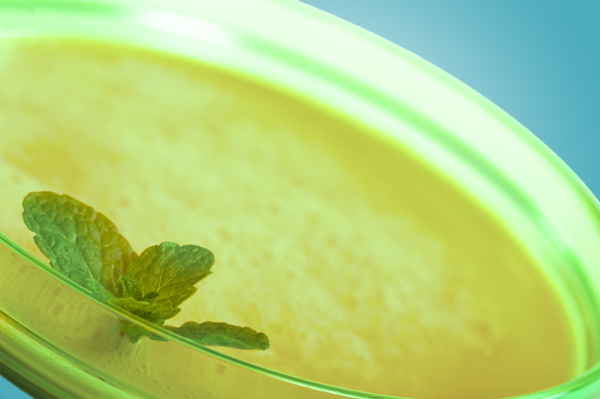 This mint mojito is a classic. 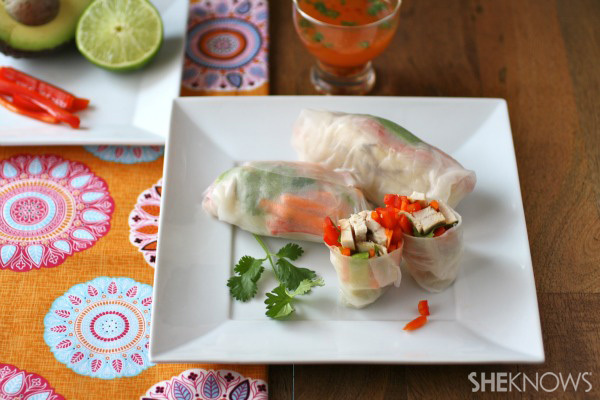 Spring rolls are perfect as a light starter or nibbles for your summer party. 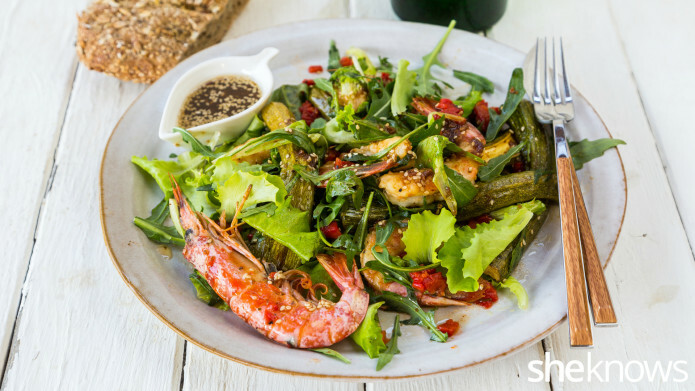 Miso dressing is the perfect finishing touch for this tasty grilled shrimp and baby courgette salad. 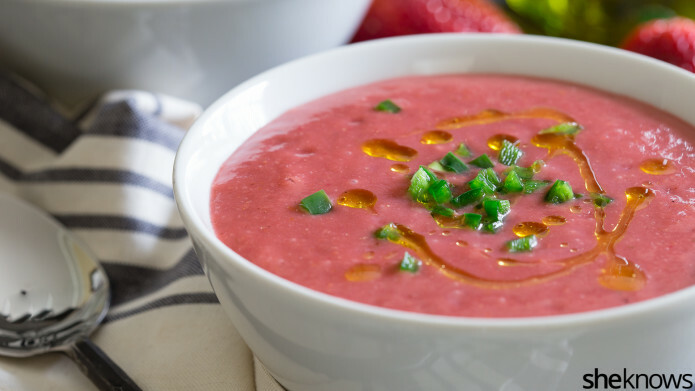 This delicious chilled fruit soup has a spicy kick and only takes 10 minutes to make. 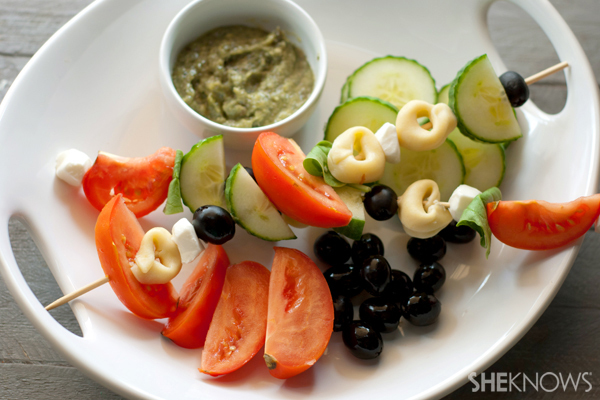 Fresh tomatoes, mozzarella and tortellini is summer on a stick. Asparagus makes a great summer side dish, and there’s more than one way to serve it. Another refreshing summer soup pairs melon with honey. It could also work as a dessert. 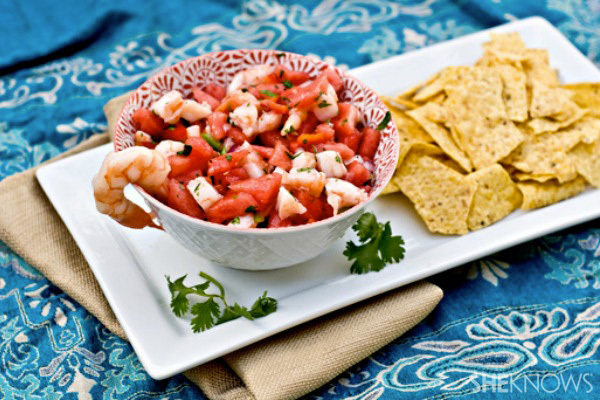 This ceviche dish is dairy-free, gluten-free and fuss-free for a simple starter or side dish. 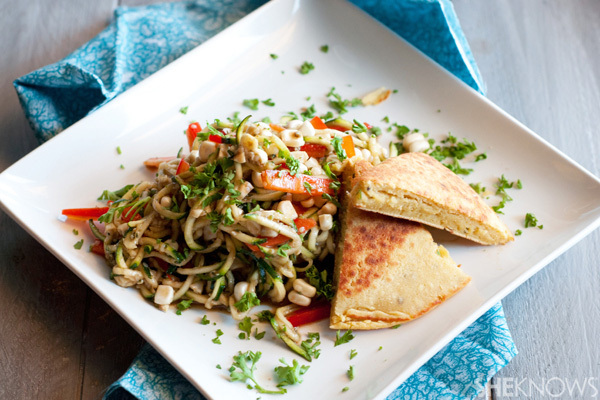 This vegan slaw is bursting with goodness and tastes great as a side dish, starter or appetizer. 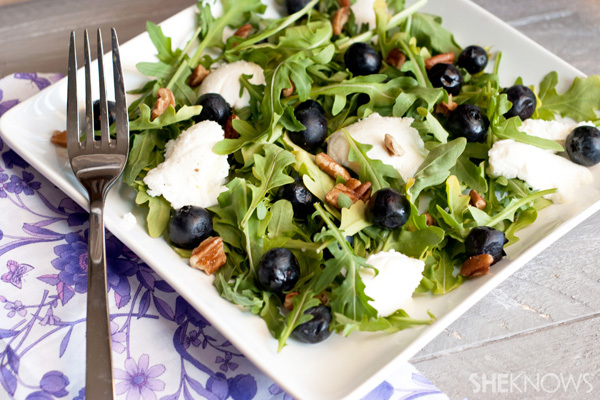 Juicy blueberries, creamy cheese and crunchy pecans make this salad a winner.